CBS Entertainment and Warner Bros. Television have reached a two-year broadcast agreement for the top-rated, acclaimed comedy The Big Bang Theory. With the new agreement, broadcast television's #1 scripted series in viewers, adults 18-49 and adults 25-54 has been renewed through the 2018-2019 season. 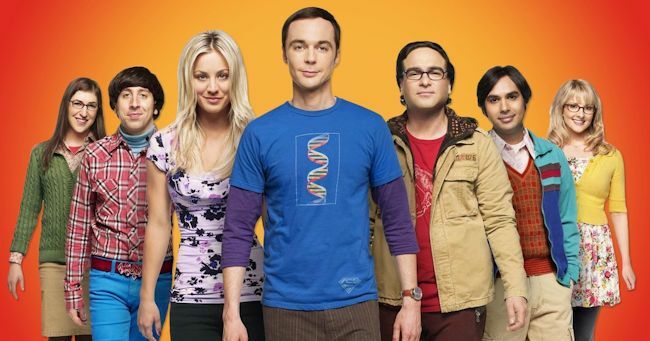 The Big Bang Theory, which premiered in September 2007, has been television's #1 comedy in viewers since 2010-2011 and continues as the #1 comedy in key demographics for the fifth straight season. This season, The Big Bang Theory is averaging 19.40 million viewers, 5.1/19 in adults 18-49 and 6.9/21 in adults 25-54, ranking as broadcast television's highest-rated scripted series in all these demographics (Live+3). The Big Bang Theory stars Johnny Galecki, Jim Parsons, Kaley Cuoco, Simon Helberg, Kunal Nayyar, Mayim Bialik and Melissa Rauch. Fresh off its 2017 People's Choice Award for "Favorite Cable TV Comedy," Freeform's hit sitcom Baby Daddy kicked off its sixth season on its new night last Monday boasting solid gains over its summer 2016 premiere and finale for 9-month highs in Total Viewers (990,000) and Adults 18-49 (639,000/0.5 rating) and an 8-month high in Women 18-49 (462,000/0.7 rating) - since 6/22/16 and 7/6/16, respectively - ranking as the No. 1 scripted cable TV telecast in its time period in the key adult demos (Live + 3 Day). Moreover, Monday's most social TV comedy across Facebook, Instagram, Twitter and Tumblr, Baby Daddy ranked a solid No. 3 versus Monday's original scripted cable TV telecasts in Adults 18-49 and Women 18-49, among other key target measures. Baby Daddy grew over its summer 2016 finale among key categories, specifically Total Viewers (+4% - 990,000 vs. 950,000), Adults 18-49 (+12% - 639,000 vs. 569,000) and Women 18-49 (+14% - 462,000 vs. 404,000). Baby Daddy spiked by considerable double digits in Live + 3 Day ratings over Live + Same Day delivery across all target demos, including Total Viewers (+63% - 990,000 vs. 606,000), Adults 18-49 (+69% - 639,000 vs. 378,000) and Women 18-49 (+78% - 462,000 vs. 259,000).